Select a region in the map to view and download Coast Pilot. 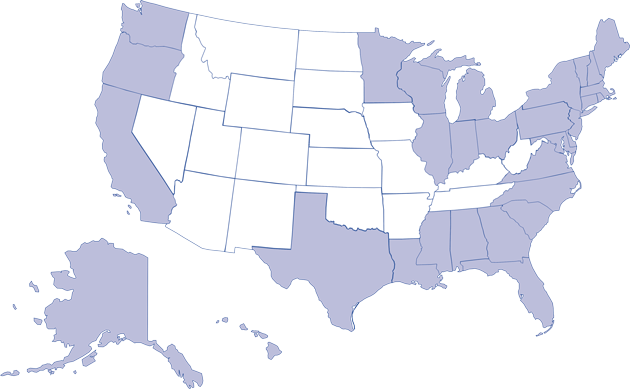 What is the U.S. Coast Pilot®? 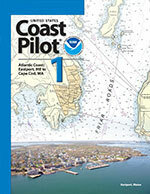 Topics in the Coast Pilot include channel descriptions, anchorages, bridge and cable clearances, currents, tide and water levels, prominent features, pilotage, towage, weather, ice conditions, wharf descriptions, dangers, routes, traffic separation schemes, small-craft facilities, and Federal regulations applicable to navigation. All Coast Pilot books are available to download for free from the Office of Coast Survey website. To download the weekly updates and the latest edition, select the appropriate book cover. Please report a discrepancy or provide additional information for updating the Coast Pilot. 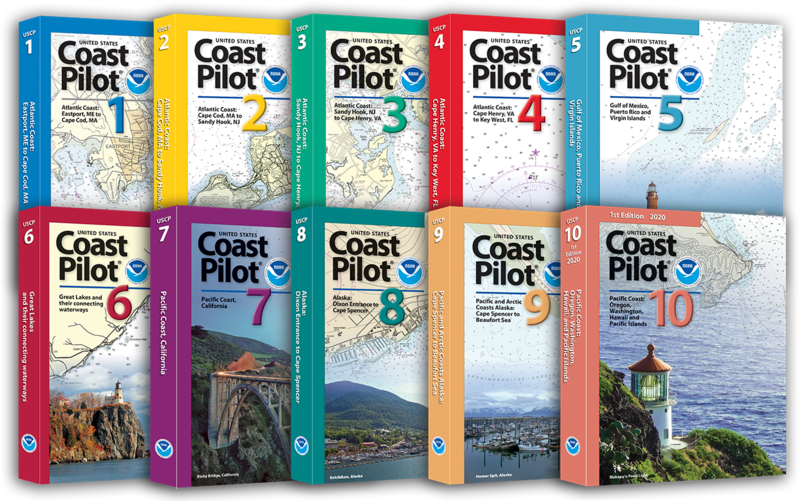 Hard copies of Coast Pilot can be purchased from NOAA Certified Coast Pilot Distributors, and are up to date at the time of printing. Notice: Incomplete and otherwise inaccurate reproductions of United States Coast Pilot are being sold on the commercial market. Notice: To increase efficiency and timeliness, Coast Pilot updates will only be posted on this website, and no longer be included in the Coast Guard Local Notice to Mariners. * While the Office of Coast Survey is committed to making its electronic and information technologies accessible to individuals with disabilities by meeting or exceeding the requirements of Section 508 of the Rehabilitation Act (29 U.S.C. 794d), as amended in 1998, our Coast Pilot PDF files are not yet compliant.